Click on the image to purchase this book online. 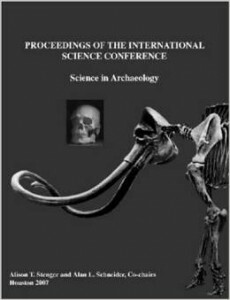 Papers presented at a conference on science in archaeology. Topics included evidence for early migrations, science and religion in America, cutting-edge DNA and radiocarbon dating studies, and the legal and scientific issues of the Kennewick Man.